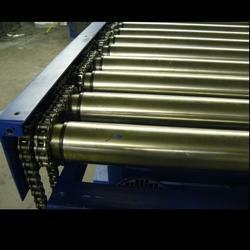 We are engaged in offering Powerised Roller Conveyor that assures high performance and durability. The components of these conveyors are designed to deliver heavy duty usage as well as flexibility. They comprise broad walled rollers of sprocket, chain to chain or tangential chain mechanism, a fully enclosed side frame and an external shaft mounted motor. These powered roller conveyor comprises of component that are designed for both heavy duty usage and flexibility. We offer Gravity Roller Conveyors that can efficiently convey goods either on a level push line as well as gravity pitched line. The gravity pitched line is the common as these can be adjusted accordingly. 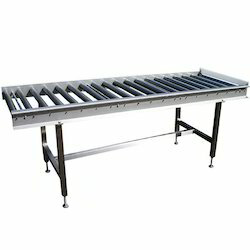 These Gravity Roller Conveyors are non powered conveyors and are considered less expensive than others. Our range is customized as per the specifications of our clients and is checked for quality before being supplied to our clients.